Singel 390 (±1700) called 'De Bouwkonst'. Cornices with attics on top were often decorated with sculptures. Some of the early examples date back to the late 17th century, but this type of top gable typically belongs to the 18th century canal house. 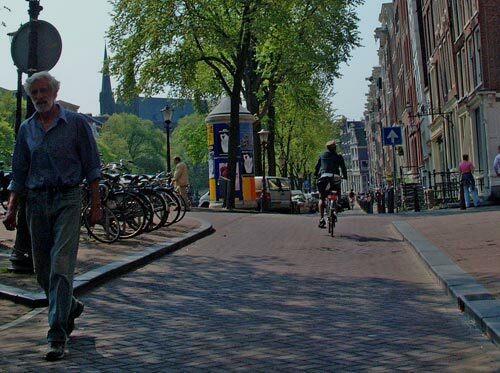 Remember that this is the period during which father and son Jan and Ignatius Van Logteren and their followers were active in Amsterdam. 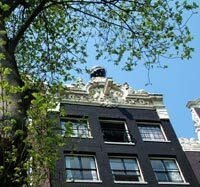 They were sculptors of major importance to the decoration of the Amsterdam canal houses of their time.